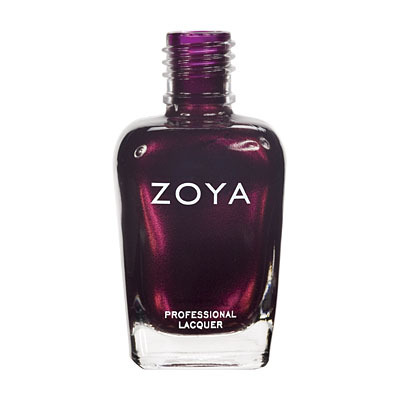 This is a very pretty color for fall. 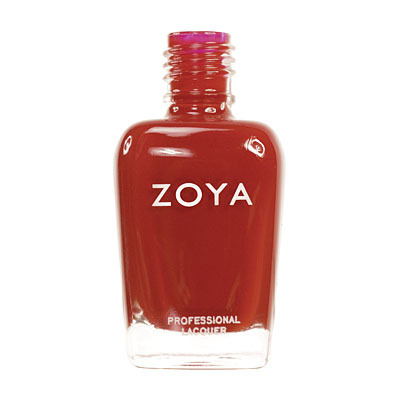 To me it looks like eggplant, perhaps a tiny bit redder than eggplant. It goes on easily - the first coat was streaky, but the second coat was perfect. 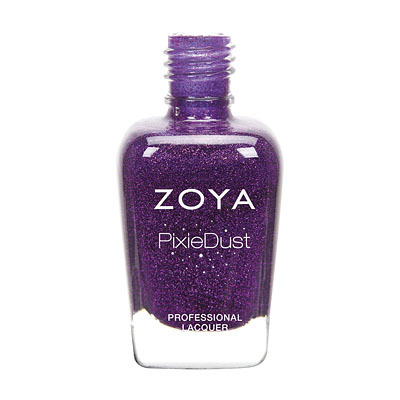 I compulsively use 3 coats of polish, but in this case I stopped at 2. 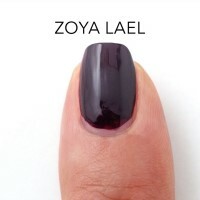 Zoya Nail Polish | LaelThe Perfect Polish! 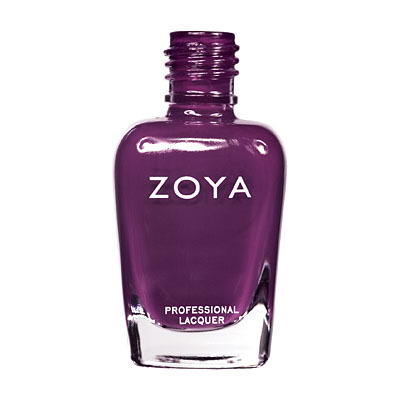 Just tried this color for the first time and had to write a review because it is PERFECT! 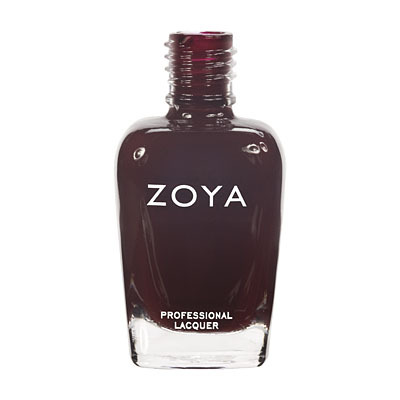 Goes on smooth and opaque with the first coat -- after two coats it looks rich and glossy. 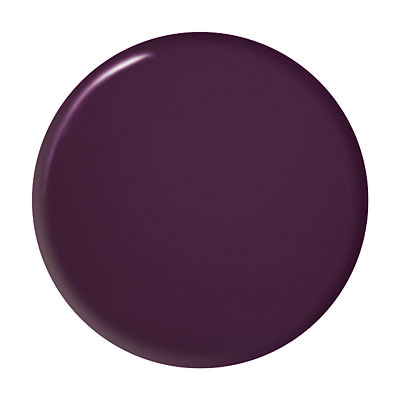 It`s a perfectly balanced true purple -- I will wear this color year round! 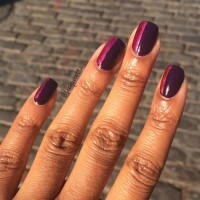 this is a rich purple color that is perfect for fall! Great formula too.